If the APR is on your to-do list, make a commitment in April – APR Month to earn public relations accreditation. Throughout April, New Jersey PRSA is gathering the names and contact details of professionals who would like to attend test preparation classes in early summer. 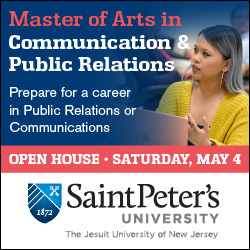 APR preparation classes will be conducted by Monmouth University’s Kristine Simoes, APR, President PRSA NJ, and New Jersey City University’s Kathleen Rennie, APR, Fellow PRSA. 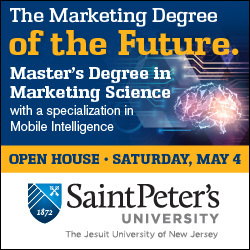 If you are interested in preparing for the APR, email Professor Kris Simoes at ksimoes@monmouth.edu In early May, Professor Simoes and Dr. Rennie will distribute the preparation schedule to those expressing interest in the APR. Another opportunity to keep in mind is the APR Boot Camp held just prior to and in conjunction with the PRSA International Conference each fall. For 2015, the Conference will open (tentatively) November 8-10 in Atlanta, Georgia, and the APR Boot Camp will be November 4–7. Save the date now and the details will be available this summer. 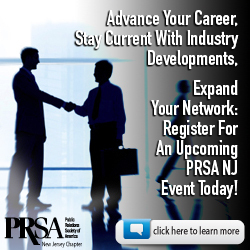 Of New Jersey’s 279 PRSA members, only 30 have earned their APR. 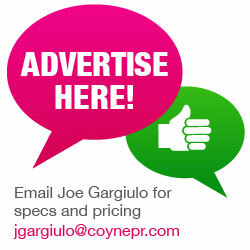 Isn’t it time your joined the 11% of New Jersey professionals distinguished by this achievement? Given its continued importance to PRSA and the public relations profession, the PRSA Board of Directors continues to invest in the program’s future. 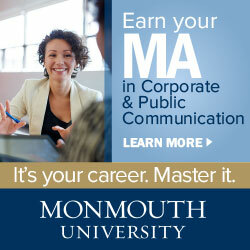 Visit the PRSA APR information site for details and find out how APR can boost your credentials and your career.